As proponents of Assembly Bill 931 scramble to convince lawmakers that AB 931 is not a dramatic change in criminal law, they have trotted out a new argument claiming the bill simply places the “use of force policies” employed in some agencies into law. This thought process crumbles under analysis as the purposes of an administrative policy and a criminal statute are very different. AB 931 is a dangerous change from current force law which judges whether the use of force was “objectively reasonable” under the totality of the facts and circumstances known to the officer at the moment force was used. The dramatic change that AB 931 makes subjects peace officers to Monday morning quarterbacking that will lead to criminal charges for use of deadly force. If it is found during the multiple reviews that different tactics, including retreat, may have changed the outcome, the officer will be subject to criminal prosecution, even if the deadly force was reasonable at the time. Police agencies’ administrative policies, such as a use of force policy, seek uniformity in the exercise of discretion, however, administrative flexibility is built into those policies. A violation of administrative policy may result in sanctions ranging from re-training to verbal/written reprimands, days off, suspension or termination with sanctions often influenced by prior disciplinary history. In contrast, a violation of a criminal statute has only one outcome – filing of criminal charges. AB 931 would eliminate administrative sanctions as an option as only one administrative outcome would be available; termination of the offending officer. There is no agency that automatically terminates a peace officer for violation of their use of force policy. The presence of alternatives to reasonable force should not be grounds for criminal charges. Combining the purposes of an administrative policy with that of criminal statutes as justification for the criminal statute is a failure . If the goal was simply “bringing all California police departments to these standards on use of force legislation” as claimed by proponents, a law could be written to mandate all agencies adopt the same administrative standards for use of deadly force. That is not what supporters of this bill want. What they want is to ensure peace officers are criminally charged when using deadly force, even when the deadly force was reasonable. AB 931 is their legislative vehicle to accomplish that goal. 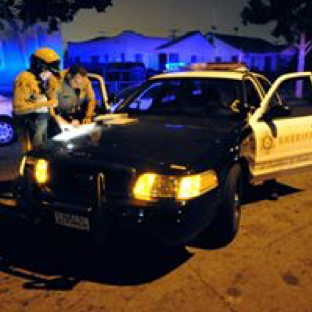 The Association for Los Angeles Deputy Sheriffs ( ALADS ) is the collective bargaining agent representing more than 7,800 deputy sheriffs and district attorney investigators working in Los Angeles County.